Many years ago there were several stylesheets available for customizing plurk layouts. That all changed when plurk upgraded and broke everything. 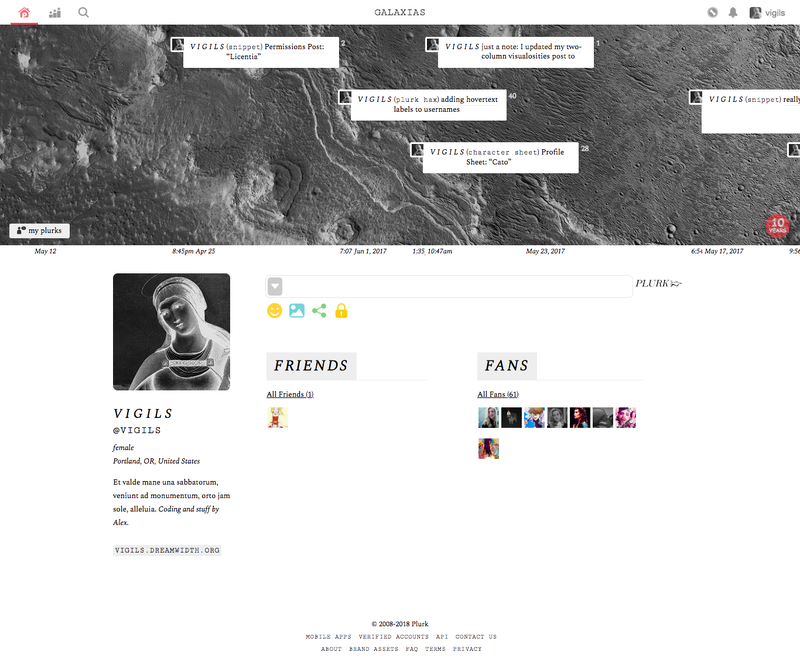 Galaxias is a layout that will work with plurk that is, instead of plurk that was.